When it comes to your furnace, it’s much better to be proactive than reactive. Now is a great time to go over some DIY furnace maintenance to prevent the expense, inconvenience, and even danger that a neglected furnace can cause. Check air filters every 30 days and wait no longer than 90 days to replace/clean them. Test smoke and carbon monoxide detectors every 30 days. Learn more about smoke and CO detector safety. You should replace smoke and CO detector batteries at least once a year. Smoke and CO detectors should be replaced before they are 10 years old (from the manufactured date). Program the thermostat to a lower temperature while away from home or asleep, but don’t turn it off entirely. Seal air leaks around the home, especially in the attic. 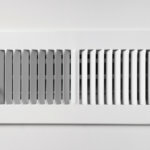 Air leaks in your ductwork and other places in your home will make your furnace work a lot harder than it has to. Contain your conditioned warm and cold air. Ask your professional HVAC technician about increasing insulation in your home, such as Comfort Cloud. Make sure your home doesn’t get too dry with a whole-home humidification system. Inspect your fire extinguisher(s) and make sure they are working properly. Give your house a deep clean. Less dust in your home means less dirt and debris in your HVAC system. Get your chimney sweeped/cleaned if you have one. Inspect your roof and schedule professional maintenance/repairs if necessary. Learn how NOT to heat your home this winter. Learn more Furnace Maintenance and Heating Safety Tips. 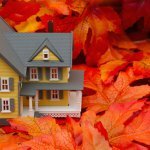 Use these home winterization tips to save you money and energy. It’s fall/winter and you haven’t scheduled your annual heating tune-up yet. Learn the professional checklist of tasks a heating technician will perform. Strange noises, such as banging, screeching, rumbling, whistling, and metal-against-metal sounds. Learn more about scary furnaces sounds. Signs of soot and rust around the furnace. Bad smells, such as sulfur or rotten-egg smells (this can indicate unsafe combustion problems or a gas leak). If this is the case, turn off the furnace, close off the gas valves, and contact the fire department and/or utility company after you have evacuated the entire building. Flickering flames or furnace flame color that is not blue. If the above furnace troubleshooting tips do not restore heat, or if your furnace is not producing enough hear. 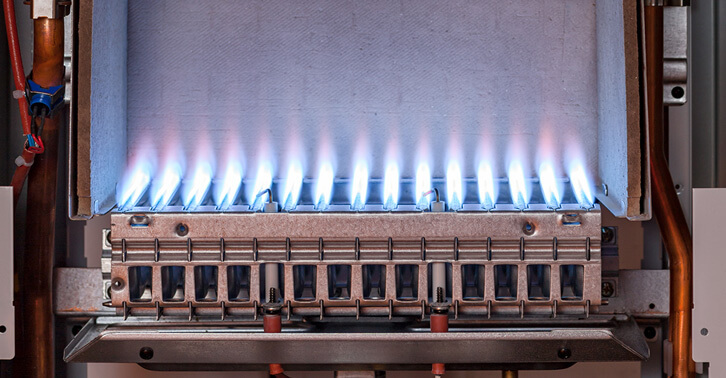 When furnace troubles arise, you may have an issue with your heat exchanger, ignition, thermocouple, blower motor, fan assembly, gas burners, or something else entirely. In the event of furnace difficulties, the sooner you call a professional for repair, the less damage will be done. But before you do, make sure there isn’t a simple fix with some DIY Furnace Troubleshooting. Besides things like checking the power switches, changing the filter, and replacing the thermostat batteries, leave all repairs, replacements, and maintenance to a certified HVAC contractor. DIY furnace maintenance, repair and replacement is not only dangerous, it can also void your HVAC warranty. 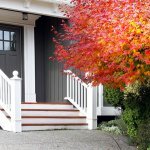 The best way to make sure that you get your required annual maintenance done is by signing up for a Home Maintenance Plan that automates these annual appointments for you. Most home maintenance plans also come with other benefits, such as priority service and exclusive deals and discounts. Annual professional maintenance helps ensure a safe and cozy winter season for all. Contact Service Champions today for your furnace tune-up. Service Champions, your local heating and air conditioning company, serves San Jose, Sacramento, East Bay and the surrounding areas.